Every room in my home is filled with giraffes given to me over the years by family, friends, co-workers and students. Although I’ve never quite understood just what prompted these gifts, I have always loved giraffes … and perhaps that’s reason enough. When visiting zoos and wild animal parks, I rushed consistently to the enclosures housing these magnificently unique creatures and lingered there for a long while … fascinated by their grace and gentle presence … never wanting to leave. ‘I love giraffes from horn to hoof. They’re dignified, but not aloof. 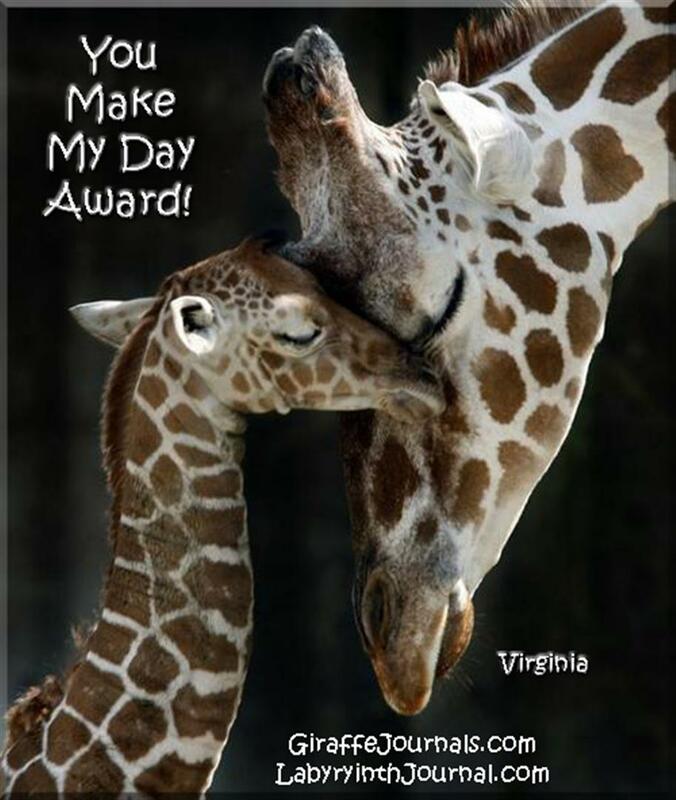 Some years ago, I learned of a ‘Giraffe Society’ that gives awards to people who ‘stick their neck out’ and wondered at the time if one reason I’ve received so many giraffes might be in recognition of times I’ve stepped out of my comfort zone to speak up & take action in my life to make a difference. Today I wonder if these giraffe gifts might have been incentives for me to take even greater risks. I’ve long been a ‘closet’ writer … journaling for an audience of one (myself) as a means to make sense of life’s encounters but keeping my discoveries on the page to myself. Recent experiences have led me to believe it’s time to stand tall, stick my neck out, and encourage others to do likewise. From the ages of 4 to 56, I spent my life in schools (first as student then as teacher) surrounded by others … constantly trying to fit in where I didn’t feel I belonged. Since retiring 10 years ago I’ve learned to be truly comfortable in my own body, but need space to maintain a sense of well-being so I’ve become quite the hermit … spending much time alone in my lovely home near the ocean that I share with a 21+ year old feral cat and a 5 year old Labrador Retriever. 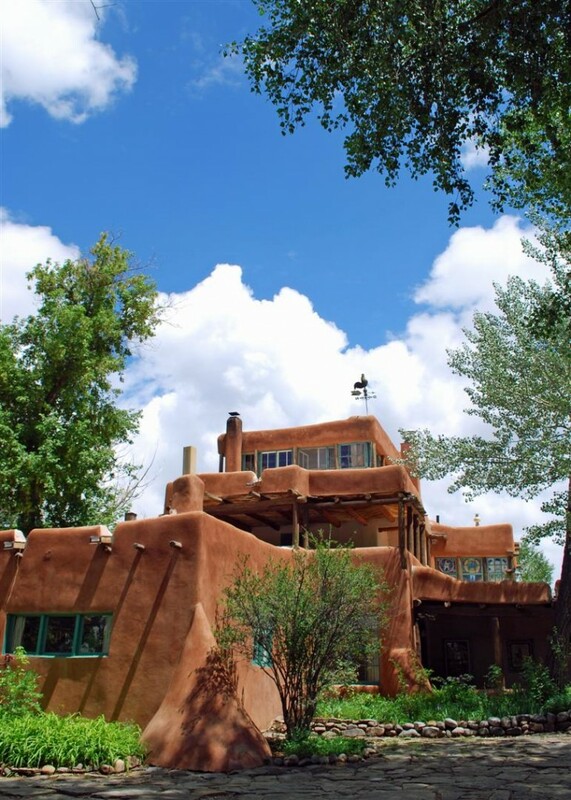 Last month I spent a week at the Mable Dodge Luhan House with Jennifer Louden, Havi Brooks, and 28 women writers … 8 of whom I’d met there in 2007 for a similar retreat. Upon arriving home I discovered an email from Jennifer Louden containing a link to a Successful Author Secrets series online and I signed up, listened to each daily interview (taking copious notes) … checking out the ‘offerings’ … availing myself of some, leaving others untouched. That’s where I encountered Jeneth Blackert … then through her, Baeth Davis. Learning about a 4-day event called the Your Purpose Summit felt like the answer to my prayers. I slept on the decision but signed up early the next morning … (the Native American opening & closing plus the Wild Horse local sealed the deal for a variety of reasons I can share at another time) … invited my sister (who just happened to be in town) to accompany me, and she readily agreed. Being at the Wild Horse Pass Spa and Resort in Phoenix, AZ for this event was life-changing. For the first time in my life, I felt as if I belonged in this group … just as I am … no modifications needed. However by the end of Day One I was so confused I was ready to skip the VIP party and possibly the rest of the event to just ‘hang out’ with my sister in a lovely place. Fortunately she listened to me blather for several minutes and convinced me to at least show up at the party briefly. I’m glad I listened to her for I did meet some individuals with fascinating stories that night. My journaling the next morning upon awakening brought some clarity, and I felt able to continue. I sat next to a woman named Carol (a long time friend of Lynne Brodie, the Heart Sage) that morning and learned she was giving up a reading with Kay Packard, a hand-analyst, at 10am on Saturday. With Carol’s help, I ‘snagged’ the appointment for myself during the first break. Cindy set me up with Carol’s half hour and said I could extend to an hour if I wished … which I did. As the day progressed, three different people gave me the same advice — show your journal to the people at the Vervante table and listen to what they tell you. I followed that advice and was amazed to hear they want to publish my ‘Journal’ pretty much ‘as is’ … make ‘templates’ of my pieces without words so that others can explore their own thoughts after hearing me read mine on a CD to accompany the book. The most amazing thing is that Cindy & her daughter Lesley live no more than 5 minutes from me … walk their dog on the same Dog Beach that I walk Molly so we’ve probably passed one another numerous times. Upon telling Lynne Brodie, she said (emphatically) that I needed to stand up and share this ‘aha’ at the next opportunity. The thought felt paralyzing and fortunately there were no more ‘aha’ invitations that day. However after Isabel Parlett, the Sound Bite Shaman had us ‘dance’ the following day before we wrote the three parts to our ‘core’ story … I found my hand raised the minute Baeth asked for someone to share … feeling surprise & trepidation when she called on me. I stepped into the spotlight to share my ‘core’ story feeling nervously apprehensive, however taking this risk allowed everyone in the room to ‘meet me’ personally. Afterward, many listeners approached … wanting to know where to buy my book … hoping to take it home with them, disappointed to learn it wasn’t yet available. They put cards in my hands asking me to let them know when it’s published, so I need to take action and get that done. I also want to get the word out … so last Thursday I purchased 8 domain names at GoDaddy and I’ve chatted with a website designer I met in Arizona last weekend about my vision for developing the sites. Yesterday I added one more domain for this Giraffe Journal site where I intend to playfully explore possibilities in the meantime … and invite others to do likewise. So … please feel free to stick your neck out and leave comments below. Share your reactions to this post & new site … your own ‘aha’ moments and/or pivotal life stories. 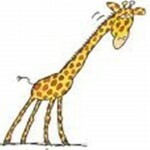 I’m eager to meet you and want make Giraffe Journal safe space for interaction. In future posts, I’ll continue with my own stories and add some of my ‘convoluted writings’ … scanned from the pages of my journal. This entry was posted in invitations, stories, welcome and tagged risks, travel. Bookmark the permalink. Wow, a fellow ‘giraffe’ admirer and how amazing is it that you know Lynne personally. Talk about a small world! I’ll be working with Lynne for two weeks starting September 28th and am hoping I’ll get my business up and running successfully with her support! Thanks so much for popping over from Facebook to check out my new playground. I appreciate your support in this new endeavor. Any time you want to share a story of your own, please feel free to return. Love Love Love Giraffe Journals… Sticking your neck out again!!! Thanks so much for your visit and enthusiastic response. Yes, I’m sticking my neck out big time and having fun! Congratulations on your get up and go! Wow, amazing how once you commit to something it all starts to fall into place. I’ve know Baeth Davis a while but even so I loved her summit – she collects the most amazing tribe of people, like you! It is so important for us to be supported by like-minded people and I know your writings will reach many people who will need to hear what you have to say to find their get up and go, to find their niche in the world and the support they need to step up and share their own talents for all our benefits. I’m feeling goosebumps all over as I read your comment and contemplate your suggestion that I might have a ‘giraffe spirit guide’ helping me see ‘above the trees’ as others might not be able to. Thanks so much for planting this seed in my heart & mind. I suspect my soul might already know because the thought ‘resonates’ mightily as I type this reply. 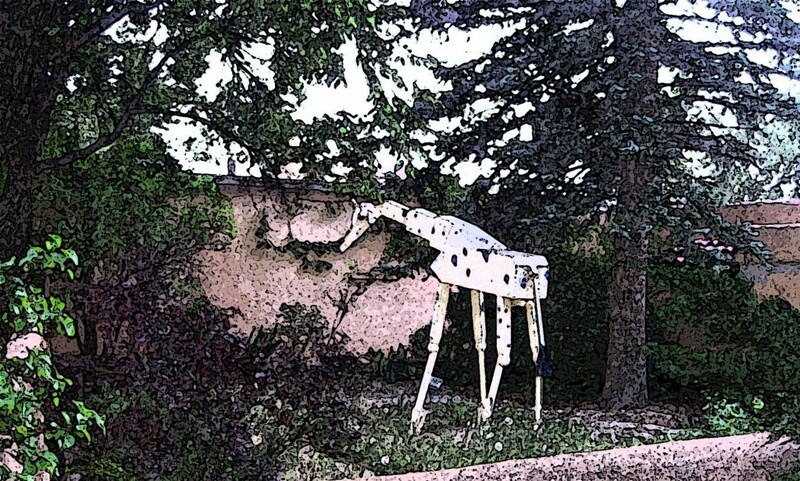 How fascinating to know that you grew up in southern Africa and have observed giraffes in the wild. I hope one day to visit and see them in a natural setting myself. I appreciate the personal validation, supportive feedback, and enthusiastic encouragement more than you know. Thanks so very much for your visit and your words of wisdom. This is officially one of my favorite blogs EVER. I read the title and fell in love. And please, please don’t ever give up. Like they said at the retreat, you deserve for this to get published…as is. check out my website? I think you’ll have fun 🙂 Like you said about your blog, I too want to make mine a safe place where anyone can say what they want without fear of judgement. I’ve just started, so take a peek! cannot wait for your future giraffe blogs. Thanks so much for your enthusiastic supportive comment. I took a quick peek at your site and love the title … Unspoken. My spirit resonates with the idea behind it because my journals are filled with unspoken thoughts … and until they’re written written down, I’m totally unaware of them. However, once discovered on the page I’ve learned gradually to share. Wow, Virginia — This is the first part of your blog I’ve read — and I am blown away at the connections & synchronicities — starting with Baeth Davis! I am a huge Baeth Davis fan and have been following her for a couple of years (via her newsletters & audios); have not had opportunity to attend her events yet. I have done an interview w. Baeth: one of the articles to be published in my forthcoming book: “The Power of Passion: Winning Women Reveal Their Success Secrets”. You also metion Vervante (I first heard about them via Samantha) : I need to talk with the m about my first book. “How to Use the Pieces of a Broken Heart: Recipes for Rebirth” which is the project I’m wanting to expedite via this Get It Done teleclass. Who is your contact at Vervante? Whom would you recommend? I am SO eager to get this show on the road — it’s been years this book has been languishig with me, even though I have a wondrous collection of laudatory endorsements, even from some well-know folks! — Anyhow, I can’t begin to say everything here — perhaps we could talk some time? I’m in Washington state, same time zone as you. BTW, if you’d like to see sample pages, illustrations, & endorsements of my “Heart” book, it is at http://AnnBarczaySloan.blogspot.com. Blessings and Namaste! I understand your comment at the Get It Done Alumni & Friends Facebook page a bit better now that I’ve discovered & read your comment here. I clicked over to read about your book … LOVE the cover and the various heart logos and am remembering the things you’ve shared during the weekly calls. Thanks for leaving the link. You’re WAY ahead of me in this publishing process, but (in addition to working with Samantha) I’ve signed up to work with Christine Kloser and Lynne Klippel in their 6 month Get Your Book Done program and am making progress on a book I’ve had in mind for more than 21 years … though I’ve beginning to think that one may remain ‘on hold’ for at least a while longer (or morph into something slightly different) because something new is emerging as I do the exercises each week. I love your story! Giraffes are amazing, unique, gentle animals. I will always think of you when I encounter a giraffe. I look forward to reading your upcoming book. Thanks so much for your visit and comment. I’m delighted that you’ve found my blog and appreciate your interest in my upcoming book. I’m making progress with my writing though the going is slower than anticipated. Bettie – I notice you left this comment in 2011 and it’s 2017 as I’m discovering it for the first time. Mea Culpa. Alas I’ve been struggling with health issues for the past few years and have ignored this blog and my website totally. However I’ve feeling better and have updated my web hosting – visiting both sites for the first time in a very long time. Hopefully I’ll get back to publishing new material soon, but I want to encourage you to write and to share with others. The world needs your gifts. I’m so glad I stumbled on Giraffe Journal (made my way here from the Transformational Authors Facebook page). And before I forget, check out Betty Leslie Melville’s book, “Raising Daisy Rothschild,” — her experiences about adopting two Rothschild giraffes in Kenya. Wonderful, wonderful stuff. I’m just bowled over by your energy and creativity, Virginia. Loved the labyrinthine writing. Couldn’t get enough of your Facebook pages with their illustrations. I’ve gotta run now, but I’m going to come back to wherever you are online and explore a bit more. I think you are a treasure I’ve just discovered. Lucky me! I’m glad found your way here to Giraffe Journal, and I appreciate your enthusiastic feedback. Thanks also for the book recommendation. I’ve added it to my list and will definitely check it out when time permits because it sounds like something I’d really savor! Isn’t the Transformational Authors Experience amazing? I’ve worked with Christine in her Get Your Book Done Live program for the past several months and love what she’s doing with Beyond Mindset Village also. ‘Tis wonderful to make your acquaintance in this ‘virtual’ world and I look forward to connecting with you here again and on Facebook. I’m sorry you’re having trouble adding my site to you RSS reader. There’s a link at the top of my sidebar just under the header. If you click it you’ll be able to choose the reader you’d like to use to follow this blog. Hope this helps.